After five years, what's another month? 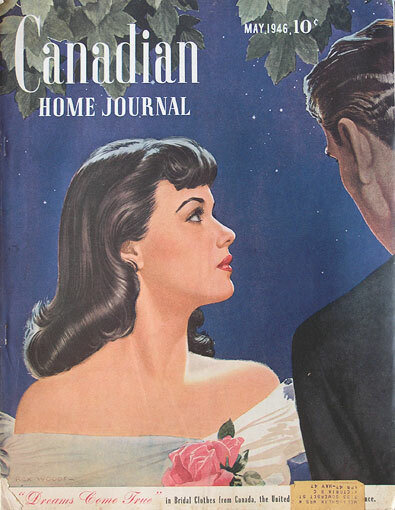 Statscan says the data on all Canadian magazines, due out April 26, will now be published May 26. Reason given: delays in checking and translating the data. The 81 unionized workers who have struck ProLogix Distribution Services have proven the old adage that it is dangerous to put all your eggs in one basket. ProLogix is the heavy lifting part of the magazine distribution system in central Canada. And, according to Mastheadonline, Teamsters Canada Local Union 419 president Tom Fraser says his members rejected the company’s contract offer on April 19 and set up a picket line the following morning, after a three-year contract expired Dec. 31. There was a time when each company -- ProLogix is a joint venture serving both Metro News and the Jimmy Pattison's News Group -- ran its own trucks and hopscotched along, serving the same stores for different collections of magazine titles. It may have seemed like a good idea to combine into one, jointly owned, delivery service. But what it effectively means is that, when something like a strike happens, magazines have no alternative. So far it looks like mags are still being sorted, trucked, returns picked up and shredded by part-timers. But this is the Teamsters we're talking about; how long will that go on? If there was ever any question about the place of Glow in the panoply of real magazines, the book published by Shopper's Drug Mart out of Rogers Media pretty much answers with its current contest to have consumers select the cover image for the magazine. The controlled magazine, which is not sold by subscription but is for sale on select newsstands, has essentially sold its cover image to one of its major advertisers, L'Oreal. People are invited (in store, by text message or online) to vote on which winsome young woman looks best on Glow's cover. Each participant is profiled on the Glow website [click on the headline above to go there], talking about their hopes, dreams and ailments. It's not clear that the winner will actually show up on the magazine's cover, but the hookup is so blatant that it doesn't really matter. Glow is a custom publication, masquerading as a consumer magazine. And with this contest, the mask is slipping. Here, thanks to a report on the Magazine Publishers of America (MPA) website, is some useful intelligence for any Canadian publishers who might want to launch into the China market. he expects between 30% and 50% growth in ad spend for major magazine categories. there will be a continued loosening of regulations in and around the magazine segment. local Chinese publishers are getting very good. They are able to bring high quality titles quickly to market. Competition with foreign brands will only increase. Beijing and Shanghai remain the major magazine markets for publishers. Weak distribution not demand, hinder growth in inland cities such as Chongqing, Sichuan, and other Central China hubs. Independent newsstands represent the main distribution channel, though convenience stores are fast gaining share. There are approximately 106 foreign titles distributed in China. Established licensed titles dominate in the IT and fashion categories. Local leaders are fueling keener competition in newer growth categories such as business, auto and travel. Sprafkin reminded attendees that magazines and serial publications remain highly restricted. Foreign entry is limited to licensing partnerships and advertising representative relationships. Hong Kong registration is reportedly being coordinated more closely with authorities in Beijing, suggesting that China is moving to reduce HK-based magazine publishing by mainland entities. The advertising-rich magazine categories are becoming saturated, especially in the large eastern cities. The newsstands are becoming increasingly crowded [Does this sound familiar?]. With fierce competition from local publishers, segments of the magazine market offer less room for newer foreign entrants. The market is showing signs of maturity. In this respect China is not unlike other markets and countries. When the general categories become filled, opportunities arise for the more targeted titles. Sprafkin suggests that publishers look beyond magazine formats to book series, events, and online. The interior cities are emerging with unmet needs. Click on the headline to go to the MPA site. CNHS also publishes a history magazine for adults that suffers from the unfortunate name The Beaver; while it is a long-established brand name, it never fails to elicit a snicker from even the most serious magazine maven. The publisher of both is also the president and CEO of the Society, Deborah Morrison. The premier issue contained one, paid ad from TD Canada Trust. The second no ads at all, save for what are probably swaps with Historica. TD Bank Financial Group sponsors distribution of the issue. But, you know, maybe this is an example of a magazine that could stay off the ad merry-go-round. At $21.95 for 6 issues plus a bonus (total 7), and despite the colour-heavy design, it would be nice to think that children could be spared the kind of blizzard of advertising that is such a mixed blessing for adult magazines. Advertisers may be missing a bet, however, since this bright and bubbly magazine should be a hit with parents; it's the kind of magazine they'd like their kids to read yet it's the kind of magazines kids might read anyway. New kid on the block for kids. Kayak #1. Vol. 1, no. 2, the Feb/March issue, has some very interesting stuff. For instance, it tells the reader all about the new $20 bill and some of it is surprising. Did you know the $20 celebrates arts and culture? (It has a Bill Reid sculpture on the back and a block of text that says "Could we ever know each other in the slightest without the arts?") The $50 celebrates nation building? And the $100, exploration and innovation. Somehow I missed that. There's some dubious cross-marketing between The Beaver and Kayak, but who knows? Maybe Mom and Dad will come across it while reading a profile of Jim Carrey, or the latest episode in the K-Club Gang's adventures. Some 1,100 volunteers were used in the study, sponsored by HP. Half of those questioned said that they reply to emails instantly or as soon as possible, and one in five admitted to breaking off meals or social engagements to deal with email. This constant shifting of concentration makes the brain more tired and less focused, and causes the temporary IQ fall-off. Email and SMS are also making us work longer. Over 60 per cent of those questioned answered work emails at home or when they are on holiday. The phenomenon of email addiction is well known, not least to users of RIM's Blackberry. Intel president Craig Barratt and many others refer to these devices as 'CrackBerrys' because of the obsessive email use they inspire in their owners. This annual book remains the authoritative source of industry data for the world’s magazine publishing community. It provides industry information about consumer, customer and business-to-business magazine markets. A new study by Starch and CNET Networks about effective online ads has found that they work best when they most resemble good print advertising. The study is based on surveys of participants in the CNet Network sites and Gamespot.com, largely made up of young male gamers, so it doesn't necessarily represent the views of the general internet user. Participants were asked to view several ads on a mock site and rate them. Joe Gillespie, the Chief Marketing Officer of CNET said the purpose of the study was to steer advertisers away from posting annoying ads that not only cheesed off the viewers but could acutally drive them away from the site altogether. "Bad advertising really hurts our business. It hurts our user experience, and that's never really been the case before," said Gillespie. "On TV you can run bad ads and, frankly, nobody knows. In our world, if we're running ads that are irrelevant or intrusive, people show up and tell us about it, or just vote with their feet and don't show up at all." Good print advertising combines the use of powerful images to quickly draw in viewers and direct their attention towards the central mesage, the study found. Simple design and powerful images that direct a reader with visual flow. Who'd a thunk it? Is it such a chore? Well, Ken Whyte grudgingly wrote an Editor's column in Maclean's this week (a month since assuming the chair) and then threw in a paragraph saying not to get used to it. NOTE: This is the first editorial I've written since my appointment to Maclean's several weeks ago. I don't expect to use this column regularly. I hold publishing as well as editing duties at the magazine, and my schedule, as things stand, can't accommodate a weekly writing assignment. Meanwhile, we will keep you abreast of developments at Maclean's through Behind the Scenes, and use this space to bring you more of the original reportage that has always been the backbone of the magazine. Is this really the message he wants to send to readers? That the Editor is too busy and doesn't have time to write 600 words a week? Or doesn't have anything to say? And that the space would better be used for something else? Egad. YaGoohoo!gle started as a joke, but now is a really useful web search tool. Type in a search term and it displays both Yahoo and Google windows side by side. You'll be surprised how different the results are. Stuart Morrison, the President of CLB Media, is an iconoclast with a taste for controversial pronouncements about the industry and a decidedly conservative take on things like government support and other sacred cows. Now he's stuck his finger in the eye of his colleagues in the business-to-business press by volunteering (without being asked) to pay for a survey of salaries by a third-party consulting firm JobChart International. Anyone who goes in on it, including CLB, gets a look at the aggregated results. So far, Bruce Creighton, President of Hollinger's Business Information Group, which publishes 30 titles, has said he won't cooperate. You can bet that Rogers, Canada's biggest trade publisher, will say the same. You see, the conventional wisdom is that the industry is too small and too closely held to allow for objective research of this type without giving away properietary information and an edge to the competition. Morrison is challenging that assumption and you can bet he is having fun, no matter which way it goes. He is also dead serious (enough to pay for the research) because he is frustrated that nobody knows what an Editor or a Production or Ad Manager is really worth. When CLB bought and merged several different companies recently, it found huge differences in compensation. Perhaps Creighton, and others, don't want to reward Morrison's mischief. Or perhaps they are all too aware what the outcome would be and they don't want to look like cheapskates. Or have they been overpaying? It has been about 5 years since the U.S.-based Independent Press Association (IPA), which has some Canadian members, began making loans available to member magazines. So far, it says, it has loaned out $1 million. Typically the money is used to finance direct mail circulation-building campaigns and come with an interest rate of 7% and a 24 month term. 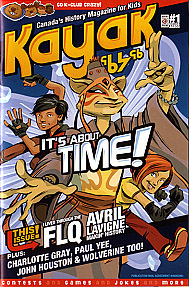 There are also emergency bridging loans available to magazines that are clients of IPA associated Big Top Distribution. As far as is known, there is no similar loan program in Canada. A number of years ago, a survey conducted among small- and medium-sized magazines indicated that there was little appetite for taking on debt and naturally (and historically) much more interest in grants. The U.S., of course, has no equivalent of the Canada Magazine Fund. But there is some nervousness out there that, soon, neither may we. Ontario is apparently stalled on extending a tax credit scheme to magazines similar to that it offers to books, film and other media. Would a loan guarantee system through the Ontario Media Development Corporation be possible? Or even desirable? "The mood is light, airy and refreshing. The tone is chatty, friendly and familiar." open dialogue where women are invited to contribute to the "Back to You" and "You be the Expert" sections. In addition, the popular services sections (Life, Health, Home & Garden, Beauty & Fashion and Food) have been redesigned to be more user-friendly. They're now easier to find and more functional." Wasn't the magazine already "woman to woman"? Were there stories about "fake women"? And what made the service sections (the guts of the magazine) so hard to find and unfriendly? Of course this kind of hype is inevitable as the new regime tries to distinguish itself from the ancien. digital collection maintained at the University of Alberta. What's the benefit of doing this sort of thing unless, occasionally, you manage to plug something that matters to you? The first iteration of a new course called So You Want to Start a Magazine? debuted on April 2 and 3 at Ryerson University, and appeared to be very successful. The target audience for this course are people who are actively considering or imminently going to start a magazine and want to do it right. I am teaching it (hence the shamelessness of the plug). The next round is scheduled for Friday and Saturday, May 27 and 28. The Periodical Writers Association of Canada have gamely, and so far mostly in vain, tried to generate some interest in a scale of fees that would ensure that their members and others could make a decent living writing for Canadian magazines. A freelance writer in a year writes about 10* pieces of an average 3,500 words, for $1 a word. Total income, $35,000. Income tax (29% on taxable income of about $23,000) is $6,675. Take home pay = $545 a week. *This would be good going, assuming that you could work more or less seamlessly and invested half of your time in development, pitching and querying. This implacable math more or less guarantees that such a freelancer would eventually feel compelled to search around for a regular gig, effectively removing herself from the marketplace. No matter how much they loved what they were doing, they couldn't afford a one-bedroom apartment above a store. When I raise this issue with publishers, they look at their shoe tops and mumble about low margins etc. But for most consumer magazines in this country, the article fees amount to , at most, 10 or 15% of total outlays. A decision to raise fees by, say, 20% would have a negligible impact on the bottom line. Every national consumer magazine in the country could take the last full year of article fees and divide it by the word count of the articles published to come up with the average paid per word. Then it would be a simple matter to calculate what difference it would have made at the year end if they'd paid their writers $2 a word. A toonie a word. Think about it. If the Ryerson Review of Journalism didn't exist, we'd have to invent it. It comes out on the world's most peculiar schedule -- two issues in quick succession in April and May -- but that's because it is, after all, a teaching exercise. Nevertheless, it's doing stories about the magazine world that aren't done very much by mainstream media. And all this despite being under threat of closure because of funding problems. Another good reason to show up at the Launch Party in April13 at the Hotel Boutique Lounge* in Toronto, starting at 5 p.m. And at least take out a subscription. * This name reminds me of Calvin Trillin's lampoon of ubiquitous "continental" restaurants with a name like Maison de la Casa House. Or a place I once saw in Tweed, Ontario called "House of Boutiques". While the Gomery inquiry is the top-rated show in Quebec, it is curious that this week's cover story in L’actualité is "The U.S. in Ruins". Perhaps that crashing sound, the Quebec Liberal party in flames and disarray, is not as newsy as we thought? What they buy, not what they read? In the traditional publishing business, the mission is to deliver compelling content that holds and cradles the attention of their reader. However, this publishing goal is now counterproductive because advertisers will continue to reward publishers not on their ability to hold their readers attention, but rather on the rate in which they can transfer this attention so it can be further evaluated on how well it converts to customers. Coming April 26, we are assured, is the 2003-04 data on the magazine industry from Statistics Canada. It's been almost 5 years since the industry had a look at such stats. (We've been using '98-'99 data.) That's the good news. The bad news is that it is all but certain that this is the last "census" (complete questionnaire for every known title) and that Statscan is going henceforth to do "stats light". This will take the form of a questionnaire designed more along the lines used to do research into other industries and to provide the government with basic intelligence for policy-making. That means it will use a sample, with a fairly high threshold (you'll not be heard from if your circ is less than 25,000 -- in some categories, if less than 75,000) . Small magazines, and most trade magazines, won't be included. This means that the industry may need to get its act together and gather its own data. Right now a joint task force of the consumer and business press is looking at "gaps" in the information matrix. But that study was predicated on the continuing existence of the longtime Statscan study. Now, in a case of one step forward, three back, that source of baseline information will simply not be available, or will be in such a sketchy form as to be only marginally useful. The Audit Bureau of Circulations and the Print Measurement Bureau have announced a program that puts a public price on their logos. For $3,500 they will grant the use of their trademarks on research conducted by third parties on behalf of Canadian magazines. It is designed to provide credibility to magazines who can't afford to belong to PMB (minimum $15,000 to $20,000) and, of course, to capture business for ABC (the magazine has to be a audited by ABC to be eligible). The $3,500 is charged to the research company for a template provided by PMB/ABC and ABC staff look over the results to make sure they follow the proper methodology. If they do, the magazine can stamp their research with the PMB and ABC logos. With a thud, the new "daily magazine", Dose, has landed. And it underwhelms. The publication manages to be busy, but strangely empty, bright and colourful, but somehow dull, new but already feeling tired. Where you might expect a premier issue to be setting the standard for the vibrant daily to come, particularly after a runup of months, instead there is a blizzard of staff-written non sequiters. Created for a youthful audience, Dose's story selection is not at all edgy, but a mishmash, jammed into a very conventional layout. It looks like a "young person's" newspaper produced by an "old person's" publishing company. Which, when you think of it, is exactly what it is. Metro is a hipper paper, and it doesn't even try to be. The first issue of Dose is dominated by stories about the Pope's death and his significance to young people. This has led the editors to the odd decision to dominate every page of the first issue with running quotes from the Pope, some of them not directly attributed. On page 7 (if you can find the page numbers, which are so small as to be invisible) the readers has the peculiar experience of having the juxtaposition of one of these "Pope-tickers" reading "Open wide the doors to Christ", beneath which is a completely pointless story about an upsurge in the birth of right whales in captivity. Of course it's understandable that the first issue of any new publication tends to be over-studied, over art-directed, over-done and overwrought; it will be only fair to give a gander at a couple of weeks' issues to see how it settles in to the regular business of serving its intended 18 to 34 readership . However, judging by the 20 bundles of Dose #1 (maybe 2,500 copies) stacked up uncut, unnoticed and resolutely untaken by streams of Ryerson students (ed. note: shurely Dose's demographic?) at the corner of Victoria and Gould Streets, one has to wonder how much of a need is being served here. It wasn't being snapped up by its readers and, at a glance, neither is it having to beat off advertisers with a stick.